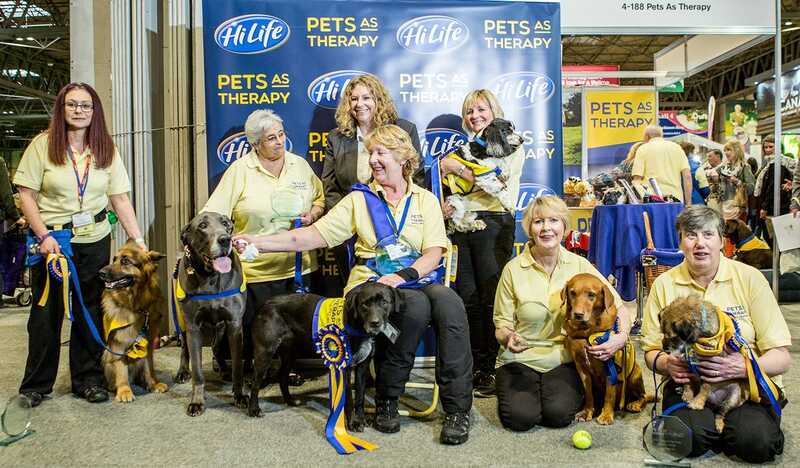 This week we have been catching up with Pets As Therapy (PAT), our Cosyfeet Charity of the Year, to find out about their great success at Crufts. Crufts, the world’s greatest dog show is an excellent opportunity for Pets As Therapy to tell people about the amazing work they do. Pets As Therapy enhance health and wellbeing in the community through the visits of trusted volunteers with their behaviourally assessed animals. Pets As Therapy volunteers visit hospitals, hospices, nursing and care homes, special needs schools and a variety of other venues all across the UK. Their visits provide companionship and friendship and help to tackle loneliness to those in need. A big congratulations must also go to Blu, a beautiful Pyrenean Mountain Dog, and owner Christine Kenyon, from Kington in Herefordshire, who won PAT Show Dog of the Year. Cosyfeet wants to help Pets As Therapy continue their vital work. That's why we are donating 25p for every pair of our bestselling Holly or Richie slippers you buy this year. To find out more click here.